(1) The money they are missing out on could be a huge game changer for their freelance income. (3) There are thousands of magazines out there looking for travel articles. Where Are All of the Magazines Hiding? Custom: Magazines created explicitly for customers of a certain business, whether that’s an airline, hotel, insurance company, etc. Let’s break down each type and how each type of magazine’s editors work differently…which means they all need to be pitched differently. Because these publications are readily available—especially the national ones I mentioned first—these editors tend to receive a lot of pitches. Most of them aren’t great though, but it means that editors tend to have to sort through a lot of crap before they find any pitches that might be worth using and that affects their attitude when reading and responding to pitches. While it’s certainly possible to break into a national consumer magazine right off the bat, because of the volume of unsolicited, misaimed pitches they receive, these editors are much more wary of working with writers who do not have any clips. They also have such a long and editorial process that they want to be sure writers have the chops to write at that level and can handle the number of edits likely to come their way. Regional and city magazine editors don’t tend to be quite as deluged as national editors, though, and that’s where I recommend you start. If you live in Ohio, target Columbus Monthly, Ohio Magazine and Midwest Living. If you living in California, target your local Modern Luxury title, Sunset and Los Angeles Magazine. With these editors, you need to send an outstanding pitch that stands alone as a writing sample to even get a response. Consumer titles also tend to have very long lead times, and many major editors say that the number one reason they reject pitches is because the pitch comes in too late. You can’t pitch Mother’s Day in April. That issue is already with the printer. With these publications, you need to be thinking a minimum of six months in advance, though major nationals start commissioning many stories a year or more out. Unlike consumer magazines, trade magazines are titles that you cannot buy on a newsstand or get a subscription to unless you work in a certain industry. These publications maintain controlled and qualified subscription lists that are often significantly smaller than consumer magazines but promise advertisers that the only eyeballs on their ads are people who need to make purchasing decisions related to their profession and are looking for ideas. In travel, there are trade magazines aimed at travel agents, tour operators, bus group organizers, CVBs and DMOs for both, corporate travel planners, association and corporate meeting planners, hotel owners, hotel operations managers and pretty much every other type of travel-related job you can imagine. These publications have much closer relationships with their advertisers than consumer publications, and they’re often much more financially resilient than consumer titles as a result. Because these publications typically have smaller staffs and often work more closely with advertisers, they tend to adhere quite closely to their editorial calendars. So closely, in fact, that a number of these publications don’t accept pitches at all, and require new-to-them writers to get in touch with something called a letter of introduction or LOI. LOIs are much more like the pitch you send for recurring writing gigs, because with trade magazines, that’s often what you are getting in touch about. Trade editors stick very closely with the same stables of writers. Once they’ve seen that someone understands their audience and is easy to work with, they assign them more and more work, because understanding the industry is the key part of getting these assignments. To start things off, send a brief, three to five sentence LOI expressing interest in being considered for assignments, highlighting any connection you have to the industry from a professional or personal experience standpoint, mentioning other magazines you’ve written for and pointing the editor to some relevant clips. From there, the editor will either say nothing, that they’ll keep you in mind for future assignments, or give you something to try right off the bat, sometimes asking you to do some research for a topic coming up on the editorial calendar and then craft a pitch accordingly. Trade editors are often much more on the lookout for new writers than most, simply because people don’t know about their magazines and have no way of finding them. But it’s important to note that when you get in bed with one trade magazine, they typically prohibit you from writing for any other trade magazine in the same space. If you write for one magazine for travel agents, you will probably have to sign an official contract or at least agree over email not to write for the competition. However, most trade publishers produce many publications with one group of editors, so once you’ve written for one of their magazines, you can usually start getting assignments at other magazines produced by the same company. Custom magazines are similar to trade magazines in that they can be difficult to get a hold of, and their audience is usually somewhere in between the restricted readership of trades and the wide-open, newsstand marketing of consumer magazines. A custom magazine can be anything from an airline magazine or hotel magazine to the annual destination-specific title put out by your state’s CVB or a magazine from your insurance or car company, like the AAA publications and Lexus magazine. In most cases they go automatically to a specific readership that patronizes the company that pays for the magazine. 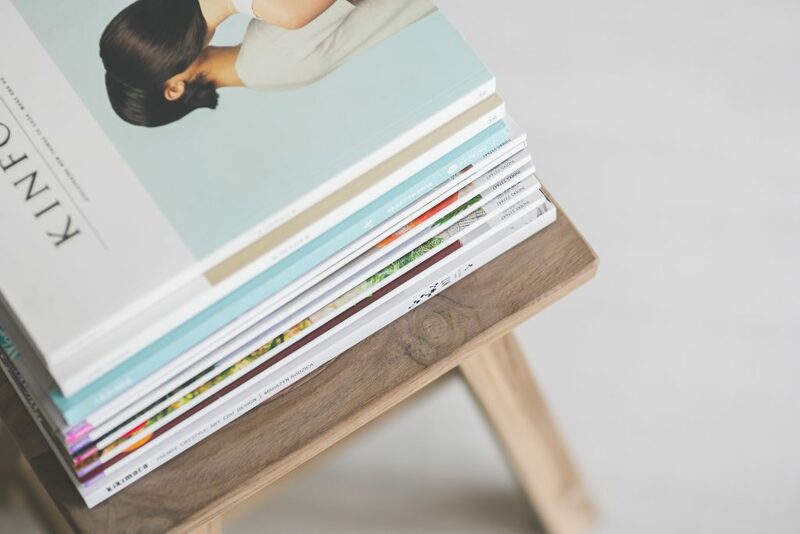 Pitching these magazines is tricky, because depending on the publisher, they may work like consumer magazines, with editors expecting you to pitch first, or like a trade magazine, with more of an LOI situation. Because of this, it’s always best to pitch first, so an editor who is expecting pitches doesn’t mistake your LOI for an amateurish general “I’m in Zambia! Assign me something!” email. However, because like trade magazines, these publications can be hard to get your hands on, editors often don’t receive as many pitches, but there are hundreds and hundreds of these publications devoted almost entirely to travel coverage, so there’s are a lot of opportunities with this type of title. Where Can You Find These Magazines? My husband has gotten used to me coming home from trips with a backpack full of magazines, because when you’re on the road is when you’re most likely to come across magazines that you’ve never heard of before. But that doesn’t mean Google isn’t your friend. I also have listings of more than 1500 magazines looking for travel articles in my book The Six-Figure Travel Writing Road Map, and you can find hundreds of travel magazines with detailed breakdowns of each section and how freelancers can break in in our Travel Magazine Database.